Information about how to apply for financial aid. To be considered, students must be seeking an Associate of Applied Science degree in High Performance Technology. Must have a 2.5 g.p.a. 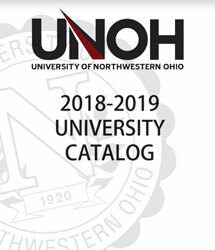 Send Scholarship Applications and applicable supporting documentation to: Kim Clevenger, Assistant Director Financial Aid, University of Northwestern Ohio, 1441 North Cable Road, Lima, OH 45805. All requests for scholarships should be received no later than February 15, of current award year. To be considered for these scholarships, students take tests during Spring Preview Day (open house). A written, multiple choice test will be given to high school juniors only. Winners will be selected by the top test scores in the auto, diesel, agriculture, HVAC/R, and robotics areas. Must have a 2.0 g.p.a. Up to 10 awards will be provided annually with the amount to be decided based on the number of qualified recipients. Must have a 3.0 g.p.a. 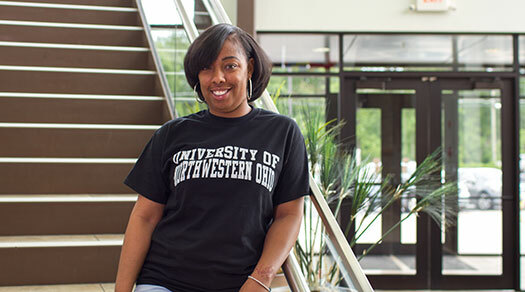 Send the Scholarship Essay Application to: Kim Clevenger, Assistant Director Financial Aid, University of Northwestern Ohio, 1441 North Cable Road, Lima, OH 45805 or email to financialaid@unoh.edu. These scholarships are provided in teams of two by the Florida Automotive Technology Competition. These scholarships are provided in teams of two by the Georgia Automotive Technology Competition. To be considered, students must be seeking an Associate of Applied Science degree in Automotive/High Performance Technology. Send Scholarship Applications and applicable supporting documenation to: Kim Clevenger, Assistant Director Financial Aid, University of Northwestern Ohio, 1441 North Cable Road, Lima, OH 45805. All requests for scholarships should be received no later than February 15, of current award year. To be considered, students must be seeking an Associate of Applied Science degree in Diesel Technology. Must have a 3.0 UNOH g.p.a. Students selected by the University Scholarship Committee. To be considered for these scholarships, students take tests during fall open house. A written, multiple choice test will be given to high school seniors. Winners will be selected by the top test scores in the auto, diesel, agriculture, high performance, HVAC/R and robotics area. These scholarships are provided to State winners in Skills USA - Tennessee in the following categories: General Auto, Brakes, Electrical, Small Engines, and Heating. To be considered, students must be approaching graduation from the University. To be considered for this scholarship, students must be a high school senior with a minimum 2.5 g.p.a. and compete in the High School Nationals held annually in early May at Summit Motorsports Park. Contact phone number is 419-668-5555. Competition takes place each year late February or early March at the Cleveland and International Auto Show. Recipients are selected by the Education Foundation of the CADA, (440) 746-1500. 1st place: $6,000 scholarship to each team member to be used for UNOH program of choice. 2nd place: $4,000 scholarship to each team member to be used for UNOH program of choice. 3rd place: $2,000 scholarship to each team member to be used for UNOH program of choice. To be considered, current University of Northwestern Ohio students must take a written test. Finalists will be selected by the top 24 test scores in both the auto and diesel areas. The 48 finalists must participate in a hands-on test. Winners will be selected by the top test scores in the auto and diesel areas. Funds can be used for any educational expense. Students in their last session win prizes, not scholarships. To be considered, students must apply through the TMC website, tmc.truckline.com. The amount of the scholarship is equal to full tuition, not to exceed $20,000. Students must be high school graduates with a 2.5 or higher g.p.a. Students must be members of the Technology Maintenance Council, an employee, or an employee's family member contracted by a company with at least one current dues paying the TMC membership. Winners will be selected by the Scholarship Committee.